Sea urchin larva. An echinopluteus larva of the heart sea urchin Echinocardium cordatum. 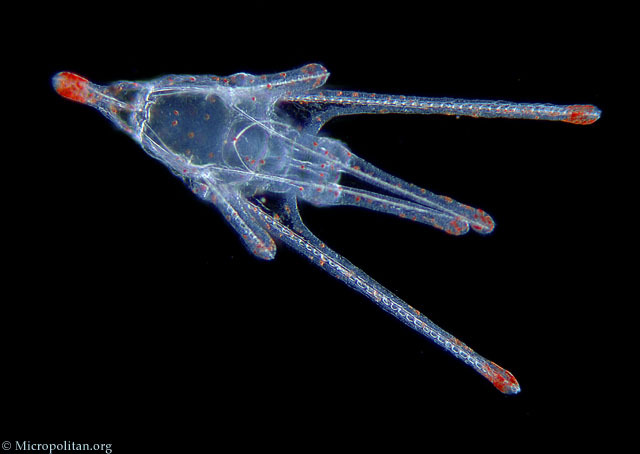 These larvae live free-floating in marine plankton where they feed on smaller organisms and are fed upon by larger organisms. The larvae have long arms, supported by skeletal spicules, and bands of cilia used for locomotion and feeding.